Tap into purity with the O-Pen®, a pen-sized purifier that uses the power of ozone to purify your water anywhere. For travelers unsure of the tap water in their hotel rooms, on cruise ships, or in foreign restaurants, the O-Pen® gives you peace of mind. Weighing less than 1.2 ounces, the pen is compact, USB rechargeable, and features a brushed stainless steel finish that resists fingerprint smudges, while purifying up to 16 ounces of water in under a minute. 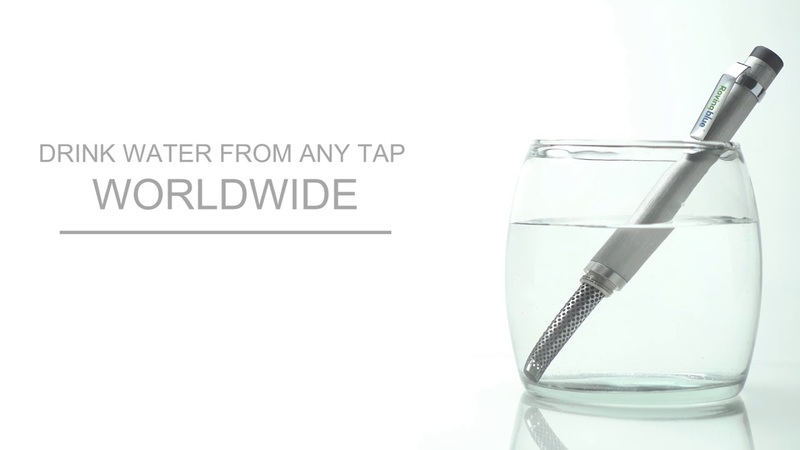 TSA-approved to bring on board, the O-Pen® allows you to drink water from any tap worldwide and ensures that you won't get sick from microbes in the water. It makes water safe by infusing it with tiny bubbles of ozone gas. Approved by the FDA and the USDA for use in drinking water, ozone is more powerful than chlorine, and is highly effective against bacteria, viruses, giardia, cryptosporidium, typhoid fever, coliform, dysentery, cholera, infectious jaundice, hepatitis, influenza virus, e-coli, enteric and many other dangerous microorganisms. Ozone also removes unpleasant tastes and odors, so there's no trace of the chemical taste other purifying agents leave behind.